A loss in enamel can lead to tooth discoloration, increased pain and sensitivity, and cracks and chips forming in your teeth. There is a lot you can do at home to protect your enamel, including drinking plenty of water, avoiding excessively acidic or sugary foods, and brushing and flossing regularly. 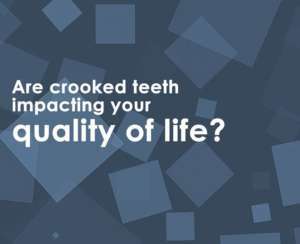 However, your crooked teeth may limit your ability to prevent enamel erosion on your own. Contact our office today to see if orthodontic treatment could be the solution you need.